Jews in Pittsburgh and Muslim worshipers in Christchurch, New Zealand, have forged a grim bond that transcends oceans and faiths: Mass killers have targeted their houses of prayer. The Jewish community in Pittsburgh was roiled when 11 people were killed at the Tree of Life synagogue in October. People of all religions rallied around them for support. Now, members of Tree of Life have raised thousands of dollars for a Muslim community that lost 50 people, killed by a gunman Friday at Al Noor and Linwood mosques in Christchurch. Dozens more were injured. Donors provided thousands of dollars a day after the page was launched Sunday. The effort mirrors an outpouring of support from the Muslim community in Pittsburgh after the massacre there. Nearly a quarter-million dollars was raised by Muslim groups to help injured worshipers and grieving families. “Tree of Life members, and our friends who continue to comfort and bolster us as we recover, must now come together to support the Muslims of Christchurch,” the page says. There have been other similar efforts launched in Pittsburgh. The Jewish Federation set up a relief fund within days of the attack in New Zealand, the Pittsburgh Post-Gazette reported. (CNN) Churches are opening their doors after mosques were told to close for security issues in the wake of the Christchurch, New Zealand, terrorist attacks. 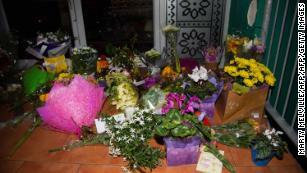 Mosques are receiving messages of solidarity and flowers. A fundraiser for the victims is nearing $400,000. And a UK-based national forum for Christian-Muslim engagement is calling on Christians to go along to Friday prayers at their local mosques — a call the archbishop of Canterbury endorsed. These are only a few examples of how people and institutions are showing solidarity and offering help to Muslim communities all over the world after Friday’s shooting attacks on two Christchurch mosques that killed at least 49 people and seriously injured 20 others. In some of the worst terror attacks and mass shootings of recent years, Muslim communities have stepped up to help in different ways. In the aftermath of October’s Tree of Life Synagogue shooting in Pittsburgh, for example, the Muslim-American nonprofit groups CelebrateMercy and MPower Change launched a crowdfunding appeal that raised thousands for the victims. Today’s New Zealand mosque shootings, which killed at least 49 people and were allegedly carried out by white supremacists, are only the latest on a long list of recent acts of white supremacist terrorism. Despite the growing and constant threat, Western governments have failed to adequately address the danger of white supremacy. The arrests of three Rochester-area men and a 16-year-old who had access to homemade explosives and firearms sent shockwaves through the community, The Muslims of America said in a prepared statement. The small community has been dogged by allegations on right-wing websites that it is a terrorist training camp, and it was the target of a similar plot in 2015. Authorities in suburban Rochester on Tuesday announced weapons possession and conspiracy charges against Brian Colaneri, 20; Andrew Crysel, 18; and Vincent Vetromile, 19. A 16-year-old student at Odyssey Academy in Greece, a Rochester suburb, was charged as an adolescent offender.